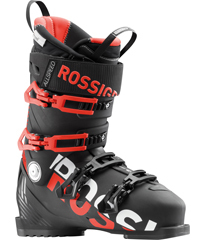 This broadest ski boot category offers skiers the widest array of fit and on-area performance options. 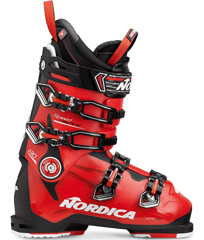 Men's All-Mountain ski boots are available in narrow, medium and wide lasts and in a huge spectrum of stiffnesses to suit skiers of any size or ability. 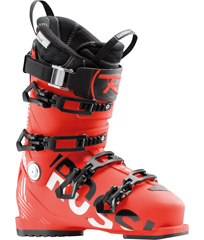 All-Mountain ski boots as we defined it for our boot test do not have a releasable cuff for hiking and are tuned with a little more suspension for off-piste conditions—meaning the replaceable soles here are commonly more grippy and often rubberized for shock dampening, as are their internal boot-boards. 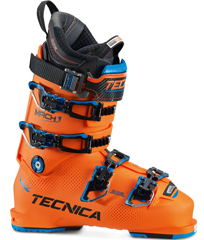 Scroll through the list below to see tester sentiments for the highest scoring men's All-Mountain ski boots, dubbed Editors' Choice winners by our equipment experts at Bootfitters.com, powered by Masterfit. 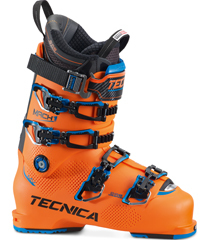 Click through on the boot name to read more about each of our favorite ski boots. "These should be flying off the shelves in any shop." "Strong like bull." "Sports car flat cornering." "Pure polyurethane power." 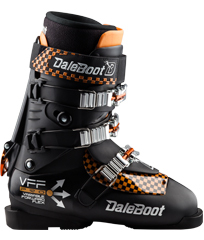 "Has every fit attribute that you'd want in this class of boot!" "Great upper cuff—shin felt engaged. Wow, solid! 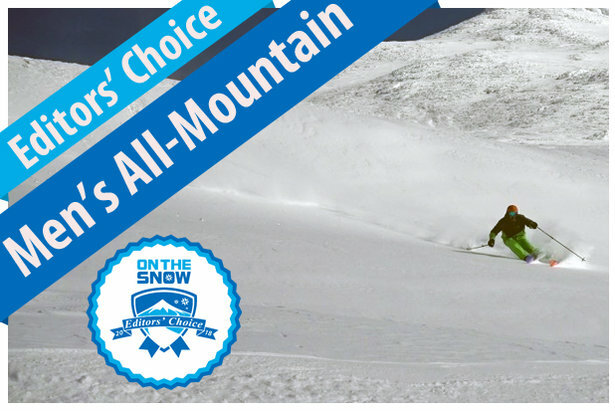 Double wow, effortless control!" 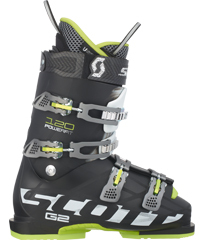 "Race boot features in an all mountain do everything with a comfortable liner!" 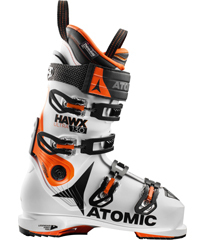 "Power when needed, but easy to ski at the same time." "Powerful flex and playful touch. 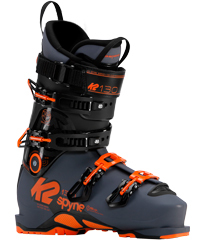 I feel confident—amazing boot." 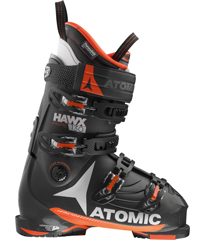 "This boot just worked on all levels: fit, performance and ease of use." "Great edge to edge feel. 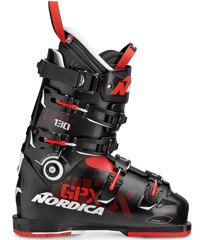 Nimble and quick in all terrain!" "Great energy—easy on and off, warm and balanced. Sold!" 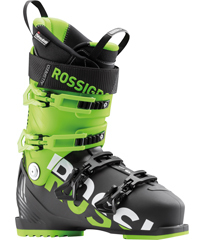 "The comfort of this boot puts it at the top of the class—smoothly sculpted." 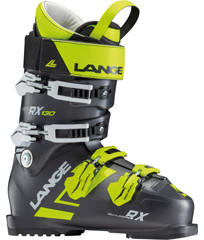 "A contender for Best in Class—skis strongly, with comfort." "I didn't have to think, I just went everywhere I wanted!" 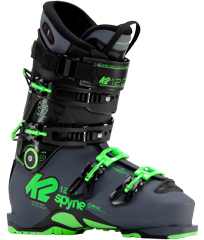 "It out skied a lot of boots in the category!" 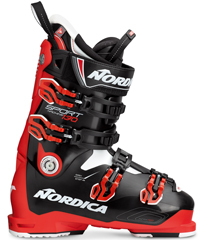 "Allowed for confident skiing everywhere! 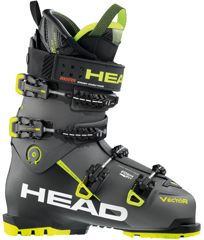 Very quick for a wide, with good snow feel." 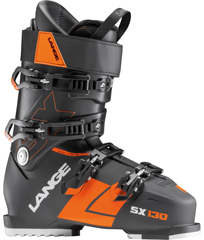 "Snug and smooth in matching the contours of the foot." "Quick and precise, but forgiving. Excellent performer!"